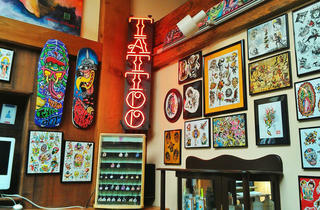 Don’t be fooled by Mission Ink’s carefree carnival theme. The studio’s three artists are seriously skilled, especially when it comes to photorealistic and traditional American designs. 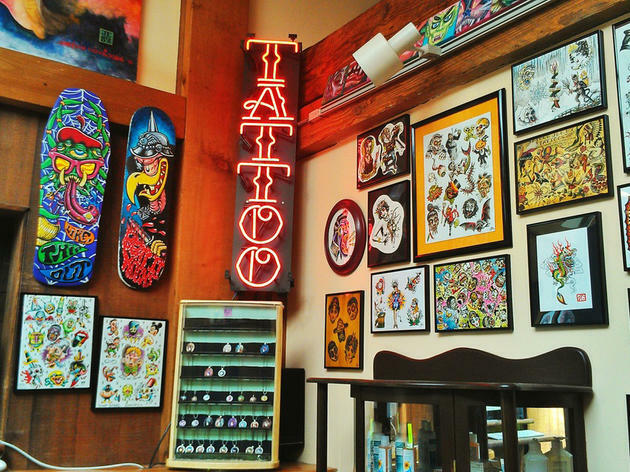 Tattoo-seekers, especially first-timers with extra questions, will find an exceptionally welcoming and patient staff ready to help. A piercer is also on hand for non-ink body adornment.